To find out more about Anna's novels, go to https://www.facebook.com/annalouweatherleyauthor/ or follow https://twitter.com/annaloulondon on Twitter. 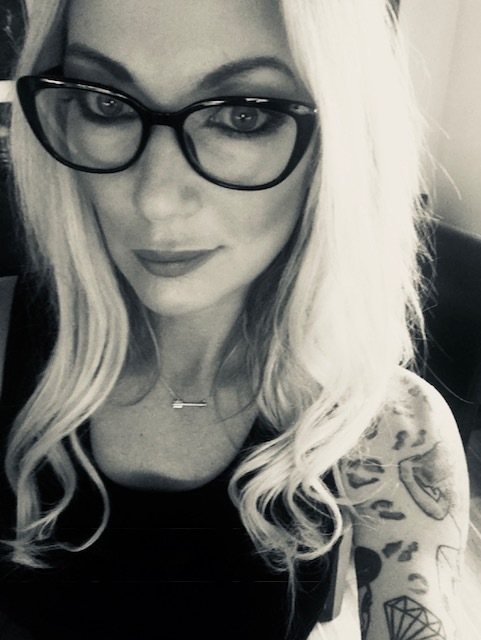 It is my first blog tour of 2019, and what a book to start the year off with! 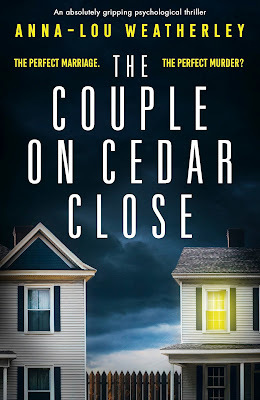 The Couple on Cedar Close had me hooked from the beginning. The characters in this story were brilliant and I now have a little bookish crush on Detective Dan Riley. He is just superb! 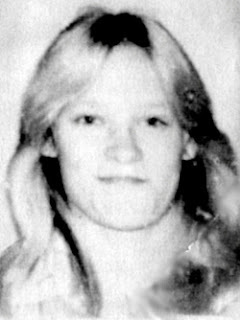 I had so much sympathy for Laurie throughout. This is very much thanks to Anna's writing who made me care about what was happening to Laurie. She is a deeply sad woman, for many different reasons. I didn't actually realise this was book two in the series so it can certainly be read as a standalone. 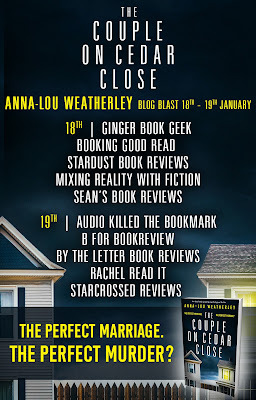 I havent read any of Anna-Lou Weatherley's work before, but this book was a mass of intrigue and mystery. Although I guessed a little of what was happening, the full extent was something which blew me away. 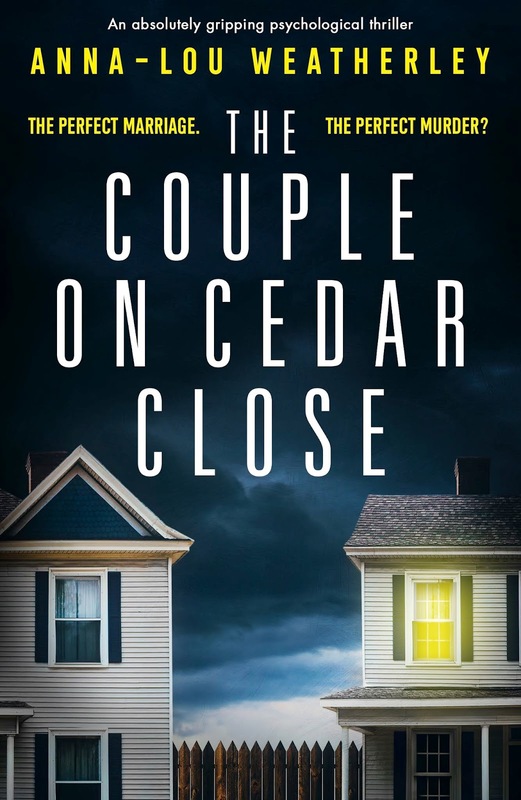 The Couple on Cedar Close is quite disturbing in parts, but certainly worth a read if you enjoy a good thriller. I am looking forward to reading more books featuring Dan Ripley, he is just everything I like in a detective. I can't say too much more without spoilers, but if you like thrillers this one is a must read. 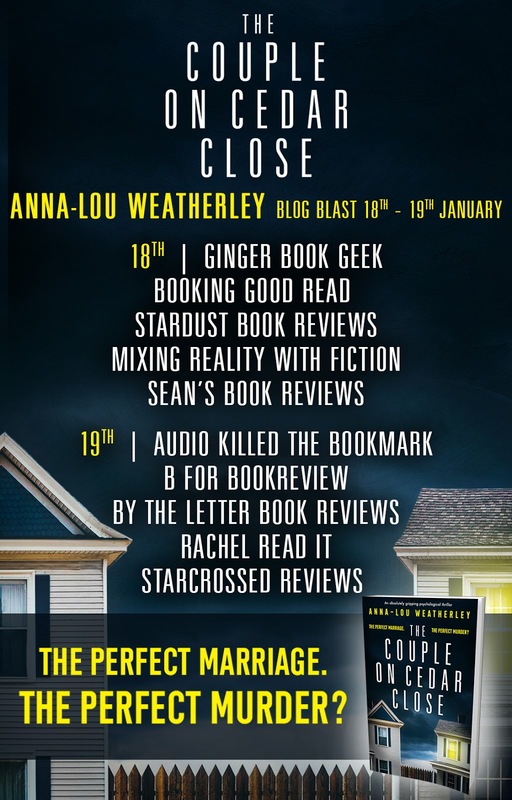 Thank you to Bookouture for inviting me to take part on this tour for this amazing read. To find out what others thought follow the rest of tour, dates and bloggers below. this book sounds super interesting! !